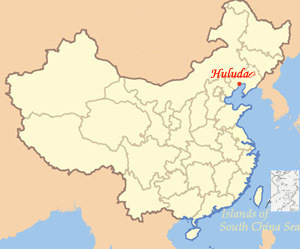 Many business areas in Huludao are flourishing. 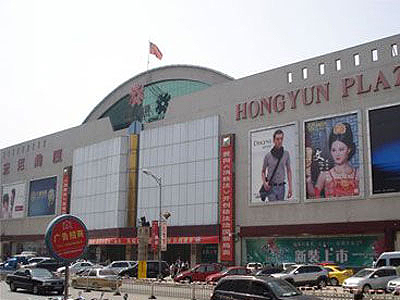 Anything you want is available in Hongyun Plaza, Huludao Department store or other business centers in the Central Street in front of the railway station. Other busy areas include Lianshan Street, which has shops on both sides selling everything from cell phone charms to home appliances. The Longtan pedestrian street, with New Mart Plaza as its center is usually the first choice for local residents.. Visitors can buy some fresh seafood products near the tourist boat pier of Juehua Island, where prices are 20 percent – 30 percent cheaper than in Xingcheng beach, and you could get an additional 30 percent off if you know how to bargain. Some tourism souvenirs including glass shell carvings, shell pictures, bonsai and clay figurines and agates, are available in many of the scenic areas.